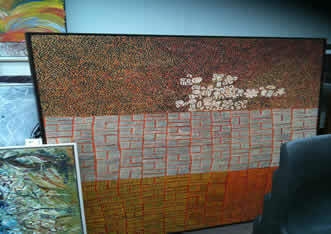 Presston Gallery are is of Australia's largest dealerships specializing in Australian Indigenous Art. We stock works from all major Australian Indigenous Artists and are experts in procuring only the best examples of works by Australia's top artists. In most cases the management of Presston Gallery deal direct with the artist to ensure authenticity and quality. Many of our recommendations are currently in superannuation accounts or displayed in major board rooms.